Sarcoidosis affects 5,500 people in the island of Ireland. We work hard as a voluntary organisation to offer help and support to those who have been diagnosed with sarcoidosis, their family and carers. But we could not do it without help from you. There are numerous ways you can get involved. 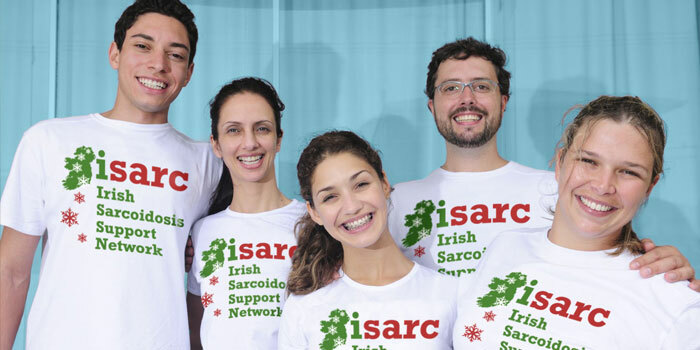 Whatever way you decide to get involved you will make a real difference to people living with sarcoidosis in Ireland. No matter how big or small every little helps. A single or a regular donation is always welcome. You can donate in memory of a loved one or leave a gift in your will. We have been involved in supporting a number of campaigns over the past three years. Want to get involved in a walk, run, cycle or swim to raise funds for us or maybe something like sponsored skydive is more suited for you. We are always looking for Volunteers to bring their skills to help the organisation. Find out more on how you can get involved and make a positive impact on our work.